Map It! 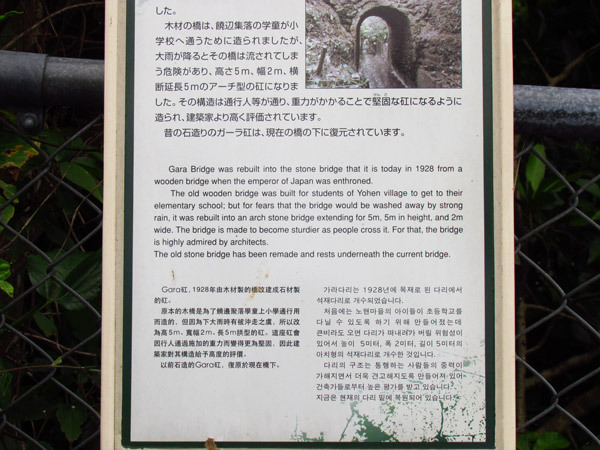 Okinawa: "The Gāra Bridge, Uruma City"
"The Gāra Bridge, Uruma City"
The Gāra Bridge (also spelled Gara) is an architectural master piece built way before its time. The stone bridge was constructed in 1928 to help children get to school and its most recognized feature is its commanding arches. 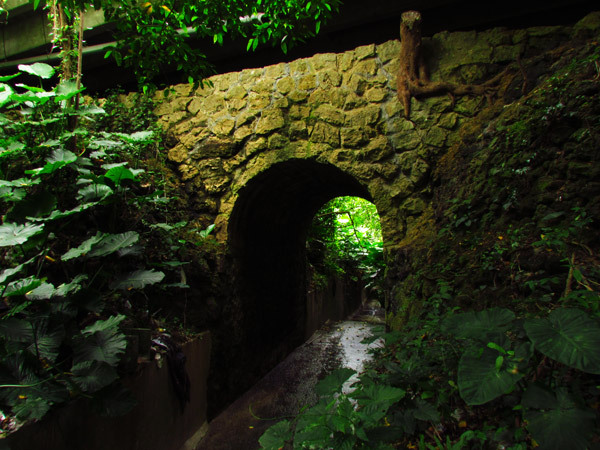 It replaced a much weaker and decrepit wooden bridge in order to withstand currents from heavy rain. The design has a special place among the architectural community since it was built to become stronger as more and more people walked over it. Not much flows beneath the bridge now and currently sits underneath a more modern-built bridge designed for vehicles to pass. This is Uruma City's Cultural Asset #17. Arch Dimensions. 5 meters wide, 5 meters high, opening width 2 meters. Terminology. 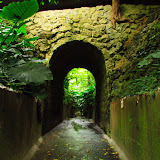 The Gāra Bridge is referred to in Japanese as Gāra Bashi (ガーラ ばし). Hashi is the Japanese word for bridge. However, when affixed with a name the 'H' is dropped and replaced with a 'B'. Source of Information. Uruma City's historical sign written in English and in Japanese. Directions. 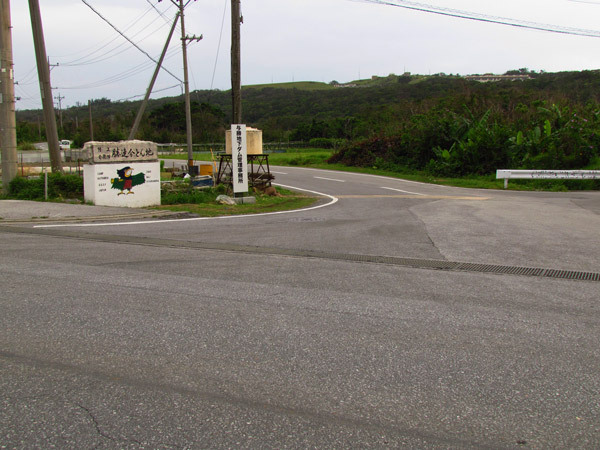 The most direct route is to take Highway 8 on the Katsuren Peninsula. 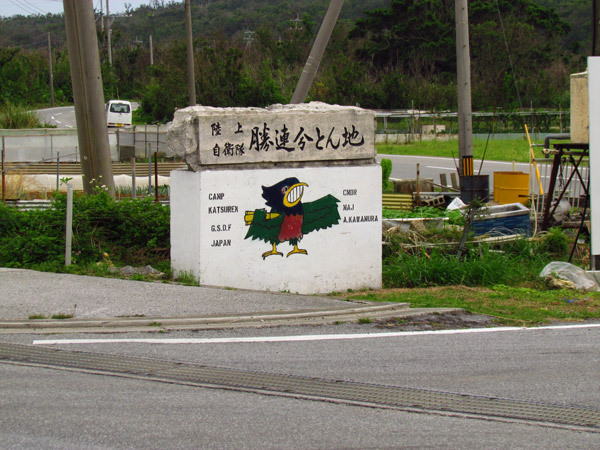 Look for this concrete LandMark sign (with a bird painted on it) that points to the Japanese Ground Self-Defense Force. The turn-off will be on the opposite side of this concrete sign. Follow the Blue Designated Route in the map above and the set of LandMarks provided. 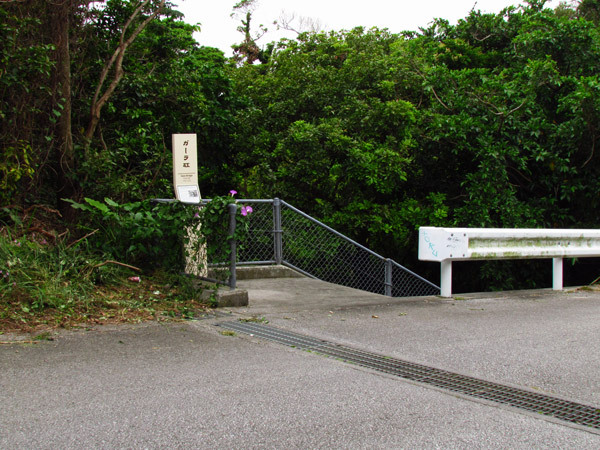 The Gāra Bridge will sit on the right designated by the Uruma City historical marker. Very neat find, adding to the list.